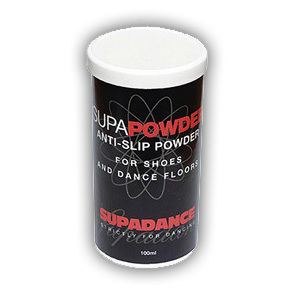 Anti-slip powder is a silica based powder made for dancing shoes. It can be applied directly to the soles or spread a little powder on the ground, put both your shoes on it, and twist. Used by ballroom and latin dancers to gain control over slippery floors.